Visit the Titans' official website for your daily fix of team information. Derrick Henry rushed for 585 yards in the final four games of the Titans' 2018 season. Head coach Mike Vrabel says he wants to see more out of the workhorse RB to open the 2019 campaign. Tennessee Titans quarterback Marcus Mariota prepared to let "dominoes fall where they may" entering contract year, as he nurses his way back to health. The Miami Dolphins have traded quarterback Ryan Tannehill to the Titans, Tannehill's agency Sports Trust Advisors announced Friday. Tannehill signed a one-year deal with the Titans, who then cut Blaine Gabbert. The Titans are signing former Rams guard Rodger Saffold to a four-year, $44 million deal with $22.5 million in guarantees, NFL Network Insider Ian Rapoport reports. Johnathan Cyprien's second season in Tennessee didn't quite go according to plan. In the midst of his recovery, Cyprien wants to make sure he never loses his grip on that starting role again. New Titans offensive coordinator Arthur Smith pledges that the 2019 approach to running back Derrick Henry will continue along the lines of his late-season surge and not his early campaign woes. Unlike most of the viewers of Sunday's low-scoring Super Bowl, Tennessee Titans DC Dean Pees thoroughly enjoyed the defensive battle. The Tennessee Titans recently announced the hiring of Arthur Smith as their new offensive coordinator, and although it was a surprise to many, TE Delanie Walker revealed more on the little-known coach. Tennessee Titans general manager Jon Robinson said the team won't rush to hire a new offensive coordinator following the departure of Matt LaFleur to Green Bay. Titans quarterback Marcus Mariota was forced to sit out Sunday's season-ending game against the Colts, but on the bright side will not need to undergo offseason surgery for a neck injury. Tennessee Titans linebacker Brian Orakpo announced on Monday he is retiring after 10 seasons in the NFL. Orakpo joined the Titans in 2015 after playing six seasons with the Redskins. Titans quarterback Marcus Mariota's status for Sunday's crucial game against the Colts remains up in the air, the signal-caller said he'll "do everything in my power to see if I can go." Titans head coach Mike Vrabel opted to go for it on fourth-and-1 at the Houston's 3-yard-line. Tight end Luke Stocker was stuffed, the Texans got the ball and proceeded to score on the ensuing play. It's not often a quarterback completes 19 straight passes to open a game and still loses. But that's exactly the kind of unusual night Marcus Mariota endured on Monday. The Houston Texans (8-3) kept their distance from the AFC South pack on Monday evening, running through the Tennessee Titans (5-6) en route to a 34-17 victory, Houston's eighth consecutive win. 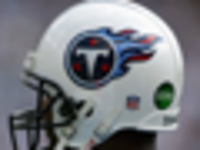 Tennessee Titans cornerback Malcolm Butler left for the locker room shortly before halftime to undergo evaluation for a concussion during Monday night's game against the Houston Texans. Tennessee Titans QB Marcus Mariota is expected to start on Monday against the Houston Texans. Mariota exited Week 11's game with a stinger and was limited in practice earlier this week. 4/8 Keith Towbridge (TE) Free Agent Signing (free agent signing). 4/8 Logan Woodside (QB) Free Agent Signing (free agent signing). 3/18 Tye Smith (CB) Free Agent Signing (free agent signing). 3/16 Ryan Tannehill (QB) Traded (traded).